Lots of photos today so I won’t talk for long. This is a publication share from the Australian Cardmaking, Stamping and Papercraft magazine and I just love how these cards turned out and they were a blast to make too! (ps I was lucky, one of them made the magazine cover too, sweet!). I’m back tomorrow with a video for Altenew, so I look forward to seeing you then. Other Supplies: My Favorite Things – Jingle all the Way. Copics – 0. YG00,03. Y11,21. E000,00,11,25,29,31,33,50. T0. W0,4. B000. R05,20,22. C5,9. Cardstock – AC – Fountain. < Previous Video : It’s a Golden Birthday Shaker for Scrapbook Boutique! These are fantastic Therese. 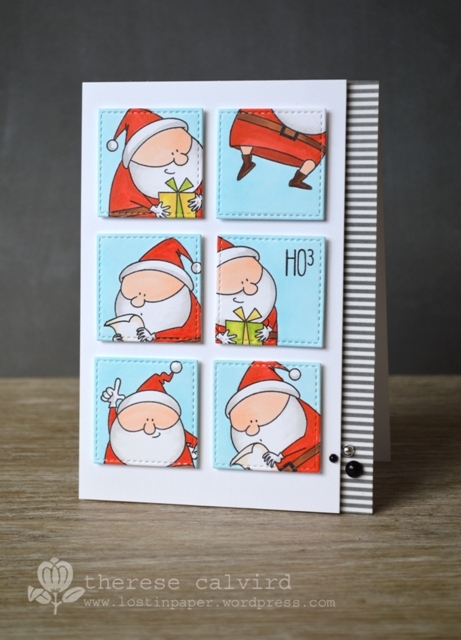 Love these stamps and the way you did the partial Santa’s on the small square die cuts and Santa coming into the house and and yes everything. Congratulations on getting on the cover of the magazine too, clever clogs. I’ve been thinking I want this stamp set and now you’ve proved I NEED it, Therese. These cards are all so darling, especially the “Oh Deer” one. 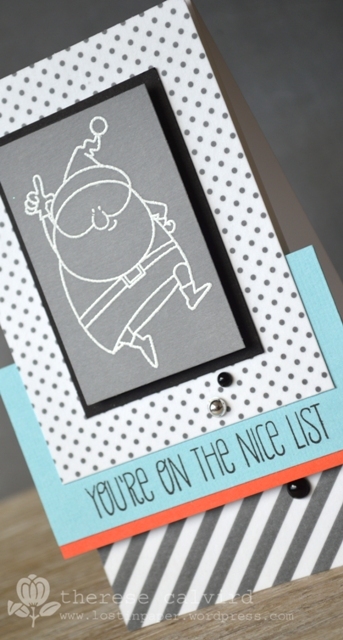 Santa even looks fabulous in gray and white. 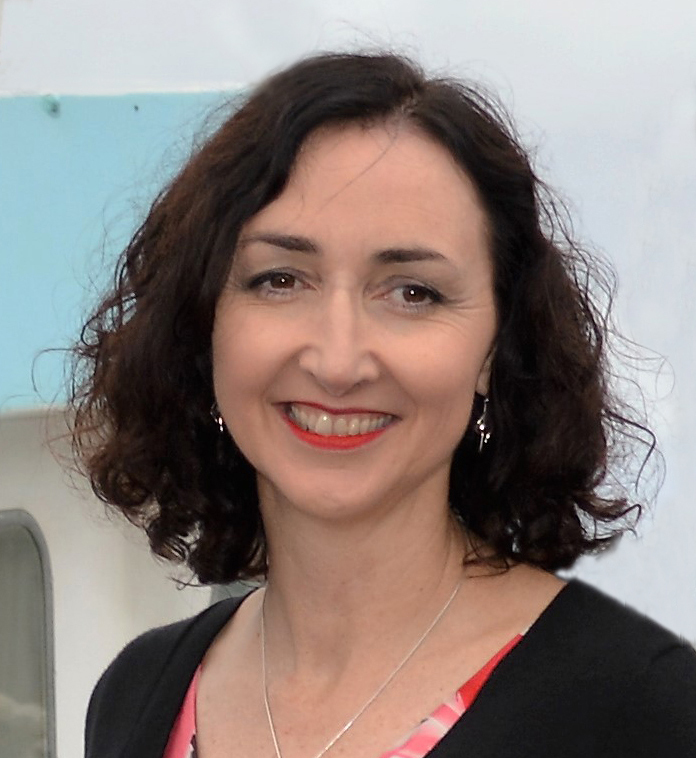 Congratulations Therese on these fab publications! They are so cute and funny! 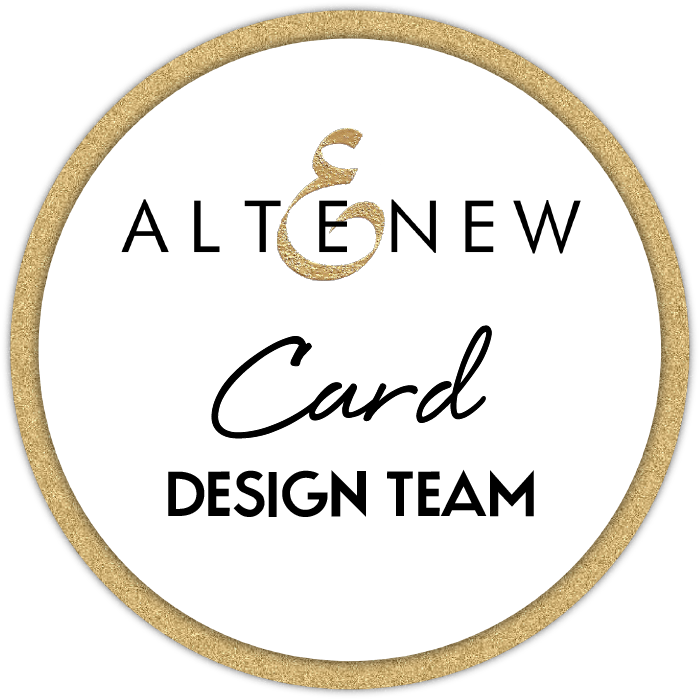 I subscribe to that magazine and can always spot your cards at first glance – your unique style shines out! Love the cards, they are adorable! All of these card are just the cutest. It’s no wonder one of them made the cover. Super collection of cards! What FUN! (HO3 must be my fave) and CONGRATS on the magazine cover! I would do a collage if I knew how, not sure if you’ve worked it out but I am a little computer/tech challenged, it took me years to work out that I was actually meant to reply to texts… minimal chance of a collage lol, but if you want to pop round I love you to help me (I’ll put the kettle on). These are so cute, Therese! 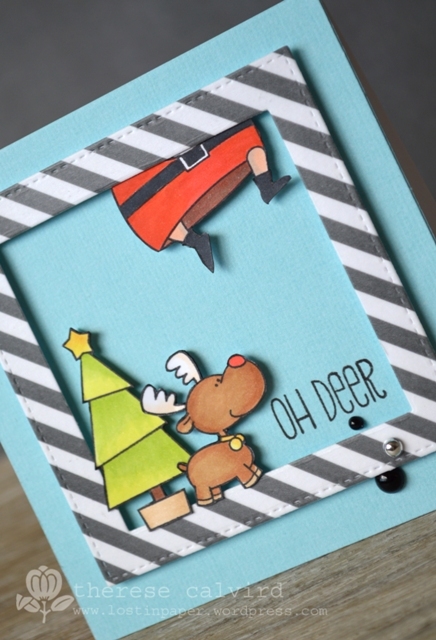 I love the “Oh, Deer” card — too funny! The “squares” card is so cute ! Love it a lot ! 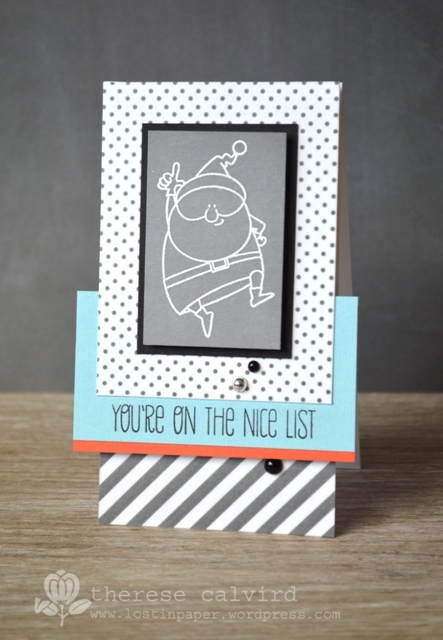 Love the card with all the squares. Just adorable. What an awesome set of cards! I love the Santa squares the best. 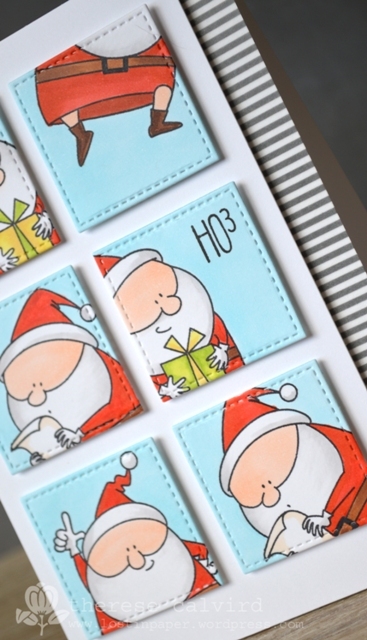 Cute stamp set. Congrats on making the “Cover”, Therese…Way to Go!!! Your cards are all amazing! 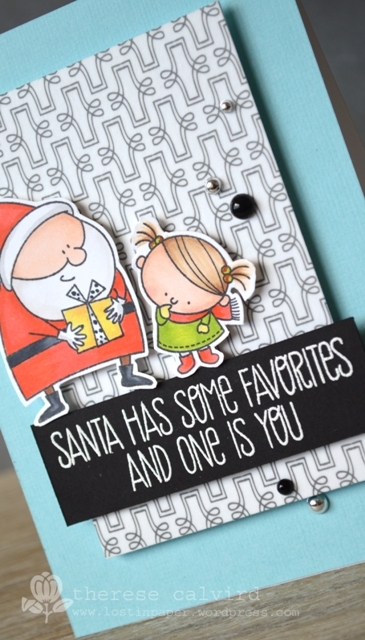 Beautiful coloring and designs, and I adore the various poses on Santa on your inchies card…So fun and festive! Every one of these is so awesome! Congrats on making the cover!! I am so happy to have this set and have used it a lot. You’ve given me even more ideas now. Thanks for the inspiration! Everyone of these cards is adorable Therese! Your coloring is fantastic! I struggle with one card and you can whip up continual masterpieces!! Love the Ho3! Such sweet cards. That Santa is supercute! Oh, my. These are darling! I love that Santa, and your cards are wonderful. Thank you for sharing all of these.